Annual financial accounts externally audited and publically available and we file annual tax returns with the Revenue Commissioners. Registered Charity Number: 20009892 and CHY: 5963. Risk management frameworks embedded in the organisation through policies, procedures and supporting tools around management, governance, and performance. All staff and volunteers are Garda vetted and require clearance before taking up a post with Dublin Simon Community. 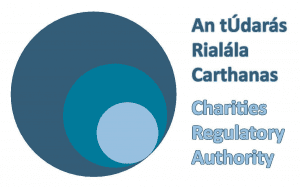 Comply with the Charities Act and are registered with the Charities Regulatory Authority (CRA), Ireland’s national statutory regulatory agency for charitable organisations. Registered Charity Number: 20009892 and CHY Number: 5963. Annually reviewed and registered with the Housing Agency, the Government Agency set up to regulate Approved Housing Bodies (AHBs). We supply annual financials which comply with the new Financial Standard and Assessment Framework to provide for robust financial regulation and oversight of the sector. 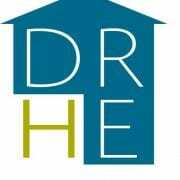 Quarterly financials, on all state funding, reported to the Dublin Region Homeless Executive (DRHE) who is the lead statutory local authority in the response to homelessness in Dublin. Annual financial returns sent to the Companies Registration Office (CRO), with all directors registered and up to date. Signed up to and comply with the Governance Code, with policies and procedures in place to ensure effective Governance. The Code was established by a working group consisting of The Corporate Governance Association of Ireland (CGAI), Arthur Cox (Solicitor), Sheila Cahill Consulting worked with eight organisations in the community, voluntary and charity sector. Comply with the Statement of Recommended Practice(SORP) (FRS102), Accounting and Reporting by Charities, where we follow respected practice in relation to accounting and reporting. Member of the ICTR, who focus on the promotion of best practice and public confidence in the sector, and meet the standards outlined in the Statement of Guiding Principles for Fundraising. The Donor Charter is available through the Fundraising section of the website.